Call it speaking, training, workshops, classes, education or seminars and it would still be the same: spreading knowledge to others. Jeremy Wilker of TWEAK Digital truly enjoys helping others figure out new technology and techniques and has trained privately and for groups of all sizes, in-person and online, locally and internationally. 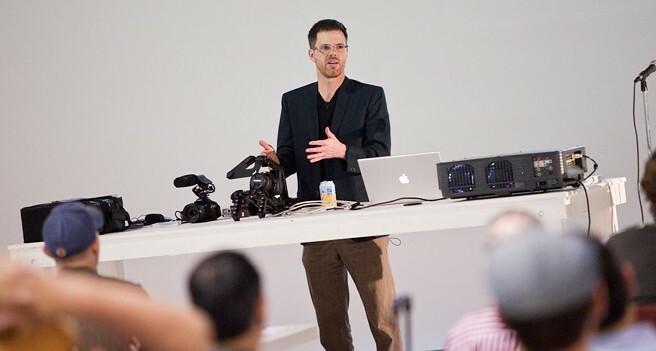 For the latest workshop news on DSLR HD Video and industry and technology related sessions, please check out Moving Into Motion.